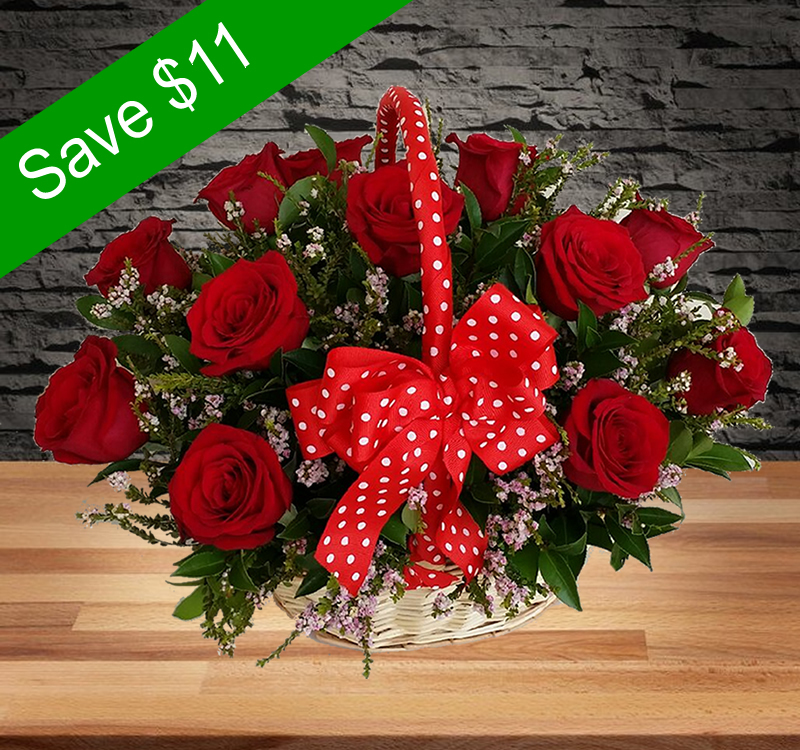 A beautiful 12 red roses (big head) shapping in basket sharing the space with baby flowers, which is available according to season. 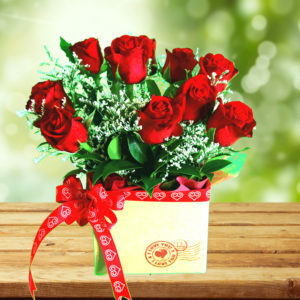 A gift to offer a surprise in special occassions, including Valentine’s Day gift, anniversary or even just want to send an appology for your love one. 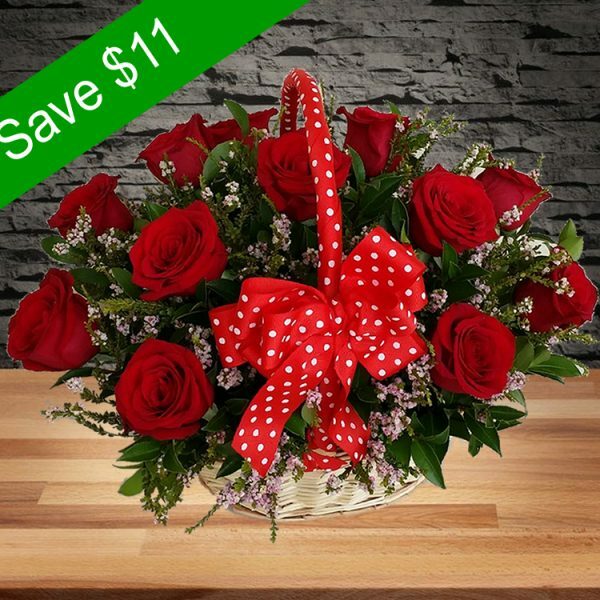 Send her the basket of flower to express how much you love and care about her.